One fascinating statistic popped up when I was talking to Stephen Goodyear, chief executive of Young’s, this week for the day job: Young’s pubs sold a million pints of craft beer in the six months to September 29 this year. That’s “craft beer” defined as “kegged beers made by small brewers”, in Young’s case, pretty much Meantime and Camden Brewery. 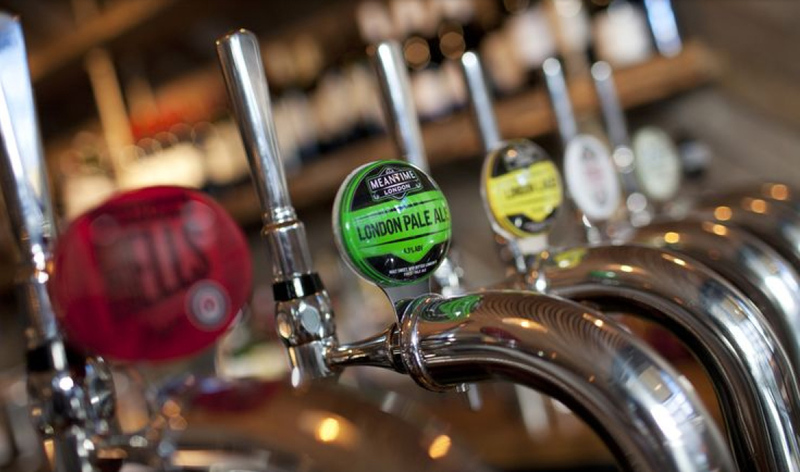 To save you working it out, across Young’s 240 or so pubs, that’s equal to not quite two 50-litre kegs a week per pub of beers such as Camden Hells Lager and Meantime London Pale Ale. Since quite a few Young’s pubs don’t sell draught craft, that probably means those that do are indeed getting through two kegs a week or more. It’s also the equivalent of 7,000 barrels a year – there are plenty of small breweries in the UK that don’t even brew that much on their own. Is that making any difference to Young’s cask ale sales? Well, according to Goodyear, cask-conditioned beer is still around 25 per cent of the total beer sold in Young’s pubs, which is considerably higher than the national average of 16 per cent (more than half as much again, in fact). Some of that is cask beer from other people, but beer branded “Young’s” as a proportion of that is about four to one. So 20% of draught volume in Young’s pubs is still Young’s beers: Special, Ordinary, Winter Warmer and the like. Not, I’m sure, that many of the more Taliban-esque Camra members will agree, but haters gotta hate, and since the demise of Whitbread, Watney’s and the rest, Camra’s tiny minority of haters have turned to hating the big family brewers who were once the heroes, such as Fuller’s and Wells. Fortunately, they make no difference to the success of a company such as Young’s, which runs some of my personal favourite pubs and sells some of my personal favourite beers, and which saw revenues for the 26 weeks to 29 September up 7.8% in total, to £116.6m, and up 6.9% on a like-for-like basis. Do love a pint or three of Young’s Ordinary whenever I get to that part of the world. Can’t think of a better pub to enjoy it in than The King’s Arms in Oxford. Spot on, Martyn – Youngs are investing huge sums in their estate, bringing it up to 21st Century standards, and that investment is paying off. Like the beer – the Ordinary is particularly under-rated.However Youngs have ruined perfectly decently pubs by turning them into eateries in a particularly brutal way. Mmm – Young’s would say that if they didn’t turn these pubs into eateries that will attract the eaters, they wouldn’t be open at all. About 50% of the company’s business is effectively food-related, if you add in in the drink bought by diners on top of the food they buy. Exactly – the British pub is an institution that has always evolved and if you want pubs to stay open you have to allow them to change in response to a changing market. The days of going to the pub and just drinking, with a food offer of crisps and a pickled egg, are over for many people. The acid test is, as always, can you go into a Youngs pub and just have a couple of pints? And the answer is yes. Youngs (and Fullers for that matter) are not turning pubs into restaurants, just improving the range of food on offer. Growing up in Wandsworth, Youngs was always part of the scene especially with the horse-drawn drays that lasted into the 1980s (I think). The cask ales were always a beacon of light in a tidal flow of keg from the likes of Watneys which was also in South West London. But the damage that brewers can do to pubs is nothing new. In the 1960s Youngs ‘renovated’ the Crooked Billet on Wimbledon Common. This included ripping out features such as ancient beams and replacing them with more modern beams!